The 2016 World Challenge season was the twenty-seventh consecutive year for the series. There were eleven race weekends – the series kicked-off in March at Circuit of the Americas (COTA) and ended at Laguna Seca in early October. Grand Touring (GT) – This is the series quickest class and is predominantly cars competing in the FIA GT3 category. Examples of vehicles racing in this class include: Porsche 911 GT3 R, Nissan GT-R Nismo GT3, Mercedes-Benz SLS AMG GT3, McLaren 650S GT3, Cadillac ATS-V.R GT3 and Ferrari 488 GT3. Grand Touring Sportsman (GTA) – This class includes the same vehicles as GT, however, the drivers are not considered professionals. Competitors in this category are evaluated after each event and based on their performance may be elevated to the GT class. GT Cup – This is a spec class for 2015-2016 Porsche 991 GT Cup cars. Grand Touring Sport (GTS) – The cars in this class are similar to the GT vehicles but have more preparation restrictions. In previous years, this class was mainly comprised of Ford, Chevrolet and Porsche products. In 2016, the GTS category witnessed the appearance of a number of new vehicles which proved to be very competitive - KTM X-Box GT4, Ginetta G55 GT4 and SIN R1 GT4. Touring Car (TC) – This class is for smaller sedans and sports cars which are allowed some performance modifications. Examples of vehicles competing in this category include: Honda Accord, Kia Forte, Mazda MX-5 and Porsche Boxster. Touring Car A (TCA) – Many of the cars competing in this class are the same as those found in Touring Car. What sets them apart are the minimum amount of modifications that can be made – most changes are to improve the safety of the vehicles. Touring Car B (TCB) - The slowest of all the World Challenge categories is based on the Sports Car Club of America’s B-Spec class. Examples of vehicles competing in this class include: Chevrolet Sonic, Honda Fit, Kia Rio, Mazda 2 and Mini Cooper. After the first six-rounds of the 2016 World Challenge GTS Championship, there were four different winners (Lawson Aschenbach, Jade Buford, Jack Roush, Jr. and Brett Sandberg) racing four different makes (Chevrolet Camaro, KTM X-Box GT4, Ford Mustang Boss 302 and SIN R1 GT4). The GTS category also saw the return of four-time series and two-time GTS Champion Lawson Aschenbach. Aschenbach joined the Blackdog Speed Shop team which helped him win the 2013 and 2014 GTS titles. 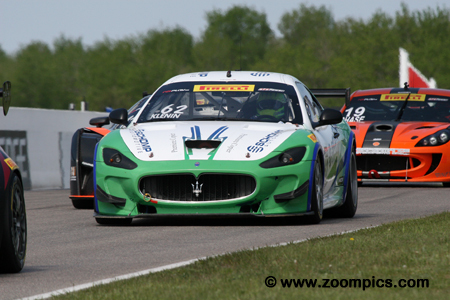 Canadian Tire Motorsport Park (CTMP) would host rounds seven and eight. The races were 50-minutes in length around the ten-turn 2.459-mile road course. 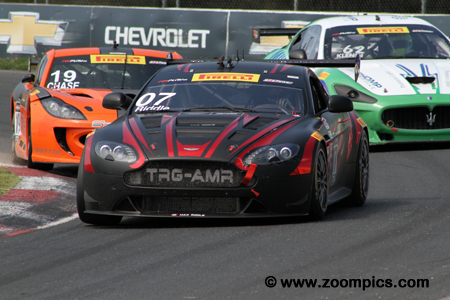 It was a good weekend for Max Riddle the driver of TRG-AMR/Aston Martin Vantage GT-4. Riddle qualified third for Saturday’s race but passed by second place starter, Scott Dollahite. Late in the event, he lost the position to a hard-charged Brett Sandberg and finished third. Riddle was gridded third for round-eight but he was in the lead before turn-two and led flag-to-flag when the front row of Sandberg and Aschenbach made contact. Fastest qualifier for round-seven was Lawson Aschenbach in the Blackdog Speed Shop Chevrolet Camaro. 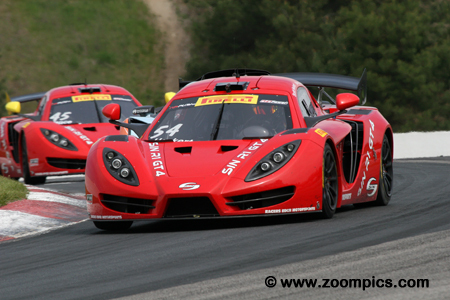 The former GTS class champion led flag-to-flag and scored a 2.456-second margin of victory. Sunday’s race did not go as well. At the start, Aschenbach and pole-sitter, Brett Sandberg made contact in corner-one. He was forced to pit and finished 5-laps behind the race winner in twelfth place. The KTM X-Bow GT4 was one of the vehicles making its initial series appearance in 2016. In the weekend’s first race, the No. 13, driven by Brett Sandberg qualified eighth and finished second. In the process, Sandberg set the fastest lap which earned him the pole for Sunday’s event. His incident with Aschenbach in round eight resulted in an eleventh place finish. Another vehicle debuting in 2016 was the Ginetta G55 GT4. The No. 19, entered by Performance Motorsports and driven by Parker Chase was showing promise. 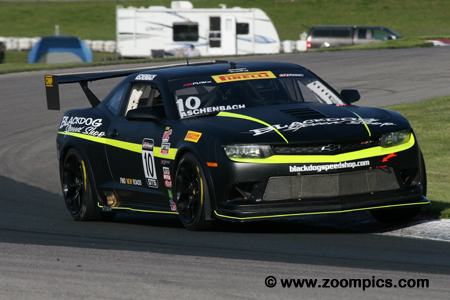 Chase entered the CTMP event with two-thirds and a second place finish in the first six-rounds of the championship. In the first race of the weekend, he was tenth but the following day he started ninth and was second at the checkered flag. Nate Stacy drove the Roush Racing Ford Mustang Boss 302. Stacy made the jump from TC to GTS mid-way through the 2015 season. In the first six races of the 2016 season, Stacy had a podium finish at COTA and St. Pete. 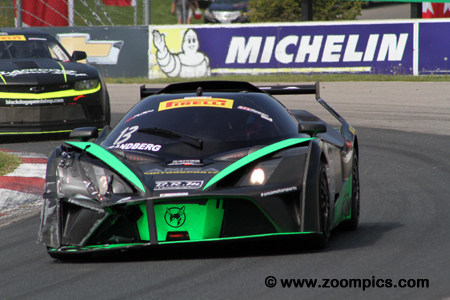 In round-seven at CTMP he started tenth on the grid and finished ninth. His fastest lap during Saturday’s race meant he would start thirteenth the following day. Despite a poor starting position, Stacy secured third on the final lap. The No. 62 Maserati was driven by Mark Klenin. Klenin entered the series in 2012 competing in an Aston Martin and in 2016 made the switch to the Maserati. In round-eight, he would have his best GTS result to date. Starting fourth, Klenin moved to second place as the result of a mid-race incident between Jack Roush and Scott Dollahite. At the checkered flag, he fell back to fourth but it was his best finish in the series. At CTMP, Racers Edge Motorsports entered two SIN R1 GT4s - one for the local driver, James Vance and a second for Scott Heckert. Manufactured in England, the car was powered by a Chevrolet LS3 which is a 6.2-liter naturally aspirated V8 engine. Heckert drove the No. 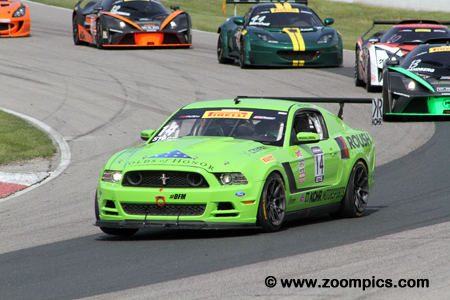 54 car at CTMP, he started sixth in rounds seven and eighth and finished fifth in both races. 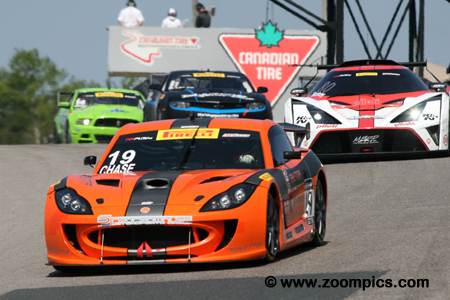 Leading up to the Canadian Tire Motorsport Park event Scott Dollahite had three podium finishes in four starts. 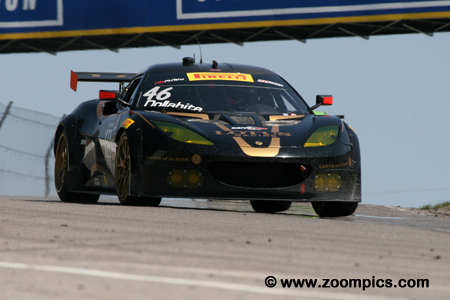 The Lotus Evora driver was gridded second for round-seven but he fell back to fourth at the checkered flag. 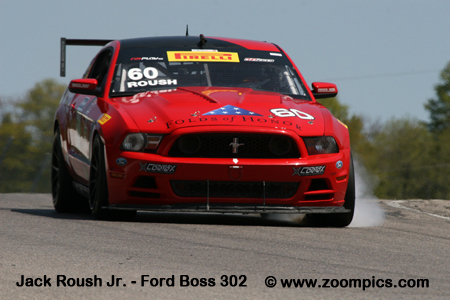 In the weekend’s second race he started fifth but an incident with Jack Roush on lap-13 forced Dollahite to retire.